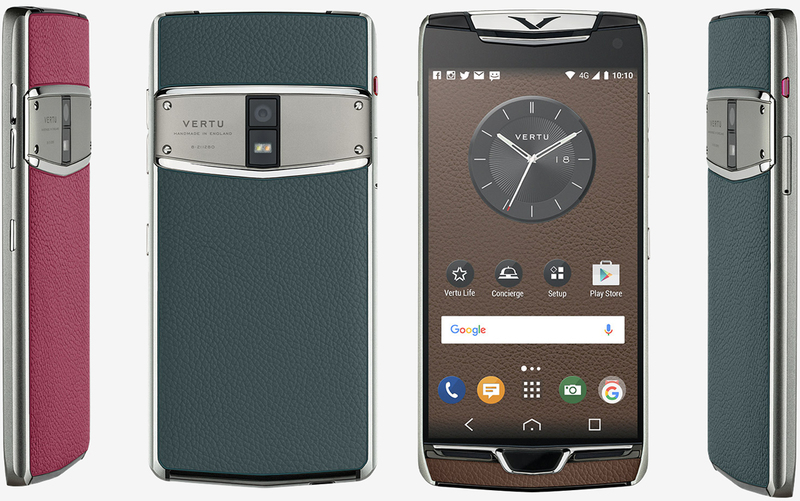 Vertu, the British smartphone maker derived from Nokia in the late ‘90s, has unveiled its latest masterpiece. As is the case with previous Vertu devices, there’s more to “Constellation” than meets the eye. Before diving into what makes Constellation special, let’s have a quick look at the hardware specifications. Vertu’s latest packs a 5.5-inch AMOLED display with a resolution of 2,560 x 1,440 pixels (538 PPI) that’s tucked behind a 140 carat scratchproof “6th generation” sapphire crystal screen. Under the hood is a Qualcomm Snapdragon 820 processor, 4GB of RAM, 128GB of local storage, NFC, a USB Type-C port, a 12-megapixel rear-facing camera, Dolby Digital Plus virtual surround sound, HD Voice support and a 3,220mAh battery that supports wireless charging. It’ll ship running Android 6.0.1 Marshmallow, features two SIM card slots with support for 34 international bands / protocols and offers “secure communications” courtesy of Silent Circle. Buyers also get complementary global Wi-Fi access from iPass. Aesthetics are subjective and in my opinion, the handset looks quite gaudy. Then again, I have zero interest in fashion so my opinion here really doesn’t carry much weight. What sets Constellation apart from your run-of-the-mill Galaxy or iPhone is access to Vertu’s Concierge and Life services. As the name suggests, Concierge offers 24-hour worldwide assistance, recommendations and priority bookings at the push of a button (in this instance, a ruby button on the side of the phone). Vertu notes on its website that their concierges facilitate your every request, from finding the perfect gift to scoring access to “money-can’t-buy” events and experiences. The Vertu Life app, meanwhile, is a curated list of exclusive experiences and opportunities that can be set up via your concierge. Offers are hand-picked on a weekly basis and can be browsed by location, date or interest. Pricing hasn’t yet been set although based on Vertu’s earlier offerings, you can expect Constellation to set you back several thousand dollars.